David Bushell’s wonderfully evocative selection of vignettes span the social awkwardness experienced throughout our lives from childhood to our current adult self doubts. Even though the British scotch egg was invented in 1738 by Fortnum and Masons the hue of Bushell’s egg has a late 20th century e-numbered tinge to its breadcrumbs. Its odour is of a P’tang, Yang, Kipperbang coming-of-age nostalgia, with the air of a smarting Chinese burn and static shocks from nylon trousers. These heartwarming tales of love and misadventure come from the author of “Undernourished In Osidge”. 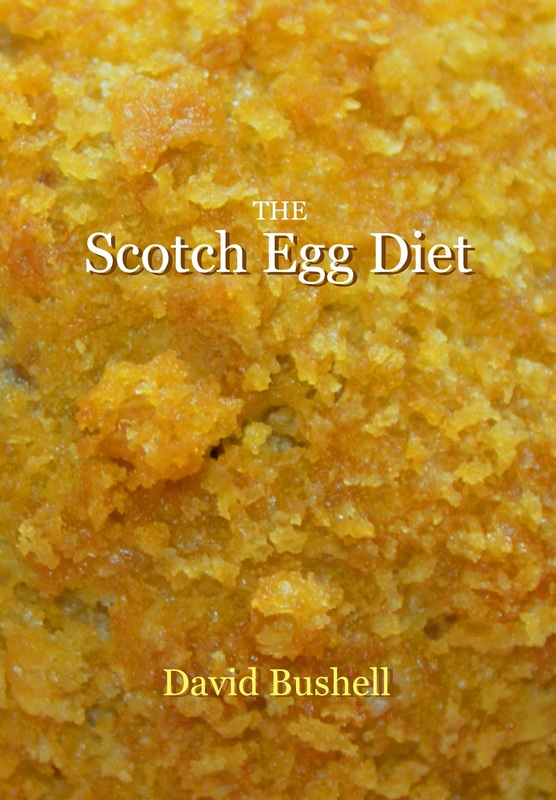 The pages of David Bushell’s chapbook are just like the delicacy itself with a breadcrumb cover, sausage meat inner pages and a yolk core. Who do I contact regarding orders please?